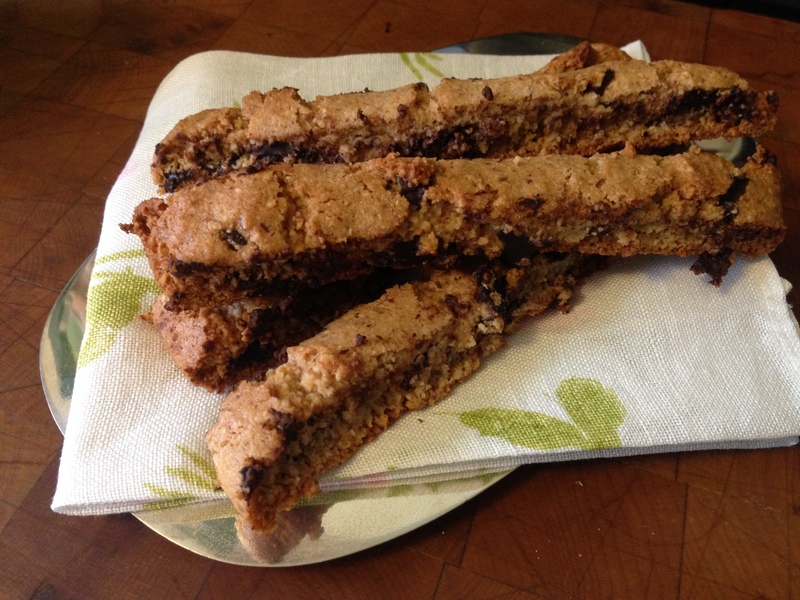 This recipe, surprisingly, is gluten-free . . . 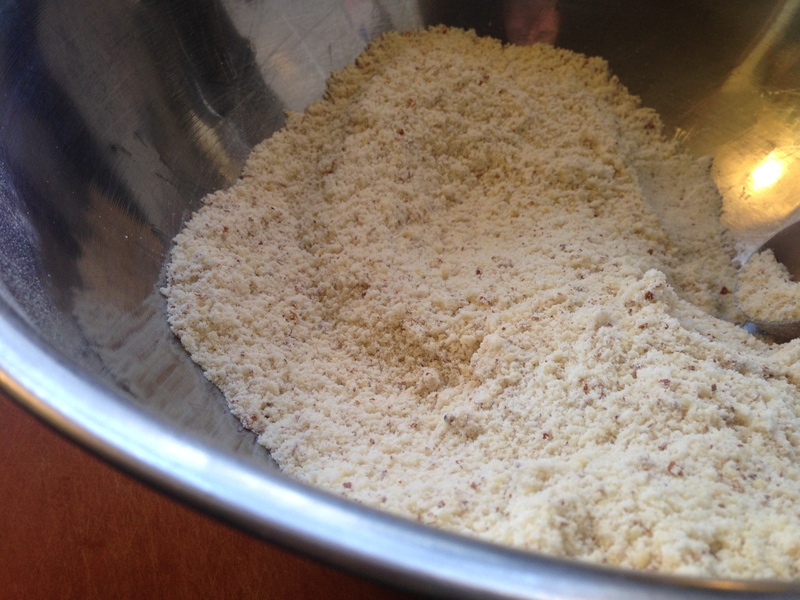 Combine the almond flour, 1/3 cup of arrowroot flour, salt, and baking soda in a medium bowl. Add the egg, maple syrup, and vanilla extract and stir until combined. 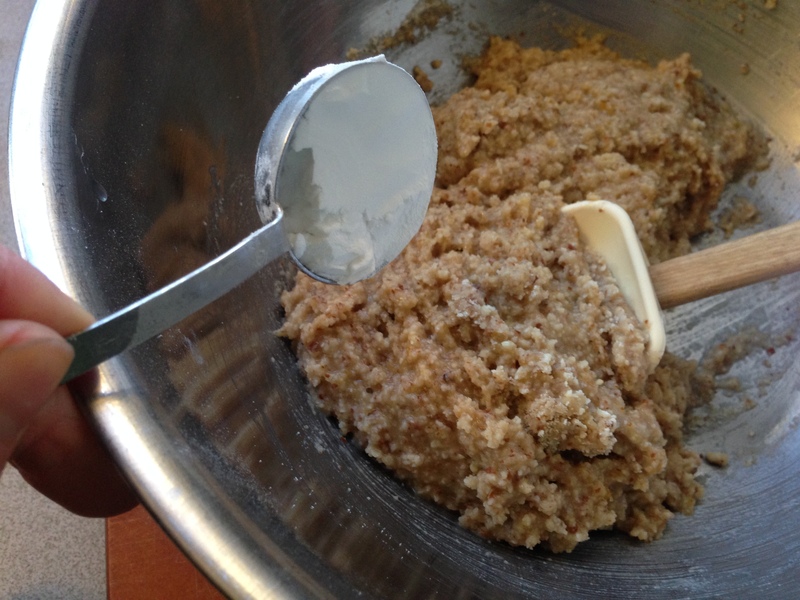 Fold in the remaining 1 tablespoon of arrowroot flour. 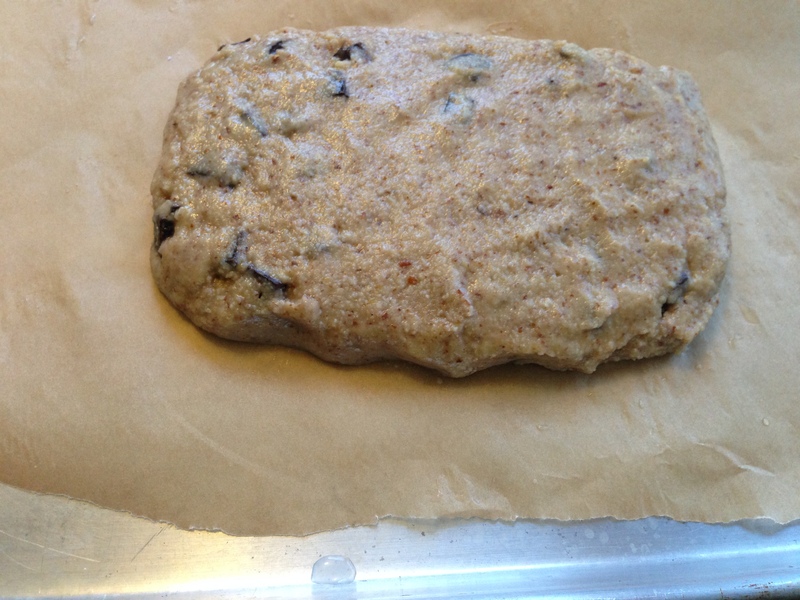 Form the dough into a rectangle and place on a parchment- or Silpat-lined baking sheet. Bake at 350° F for 15-18 minutes. Let cool for an hour and cut into one inch-wide strips. Be careful, as the dough is fragile at this time. 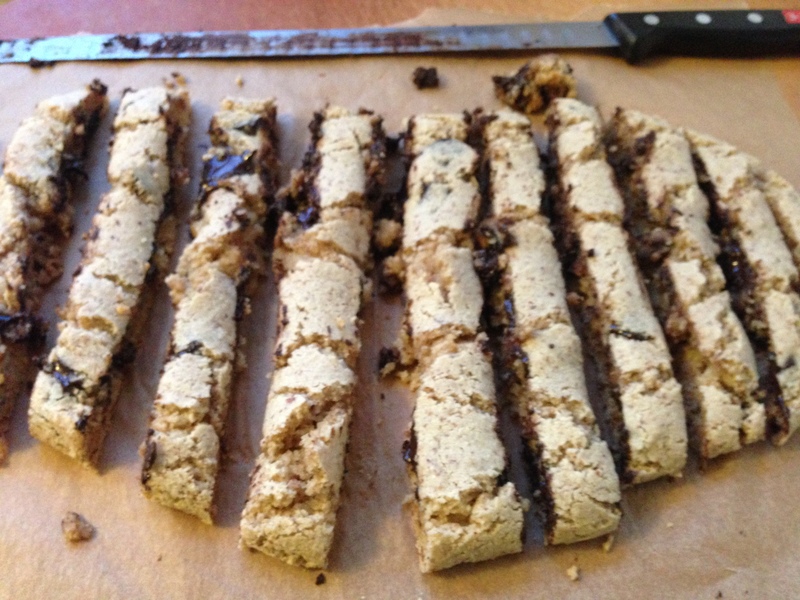 Place cut pieces flat on the lined baking sheet. 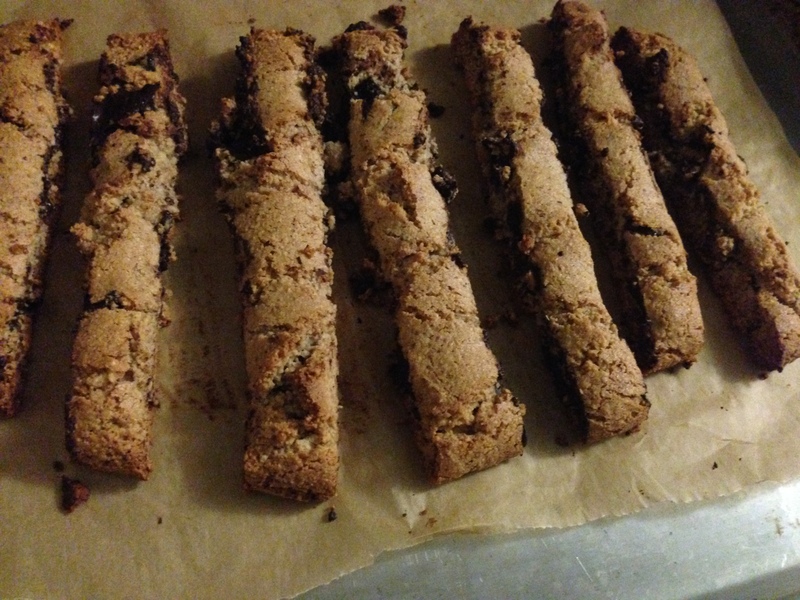 NOTE: The original recipe calls to melt the remaining chocolate and shortening in a double boiler until melted and them drizzle over the baked biscotti. I opted to add the full cup of chips into the batter and forego the drizzle. 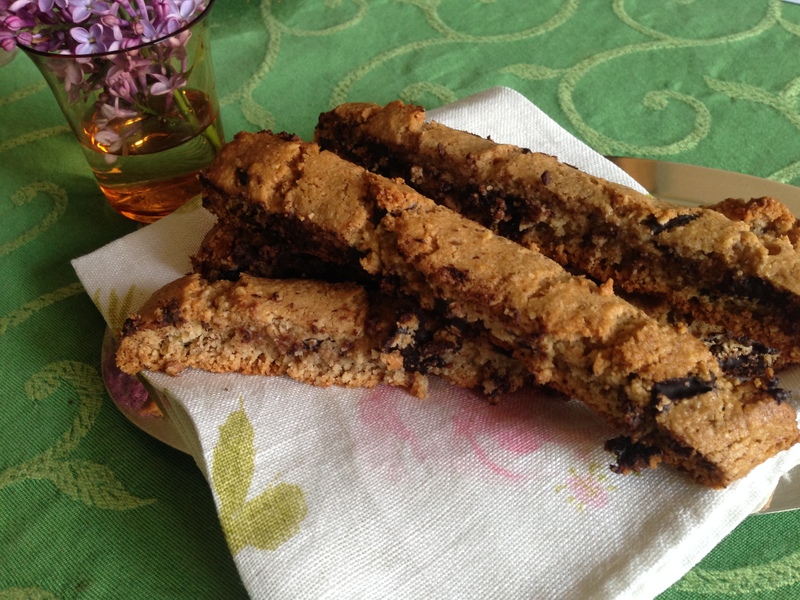 This entry was posted in Breakfast, Dessert, Desserts, Gluten-free, Recipes and tagged Baking, Chocolate. Bookmark the permalink. 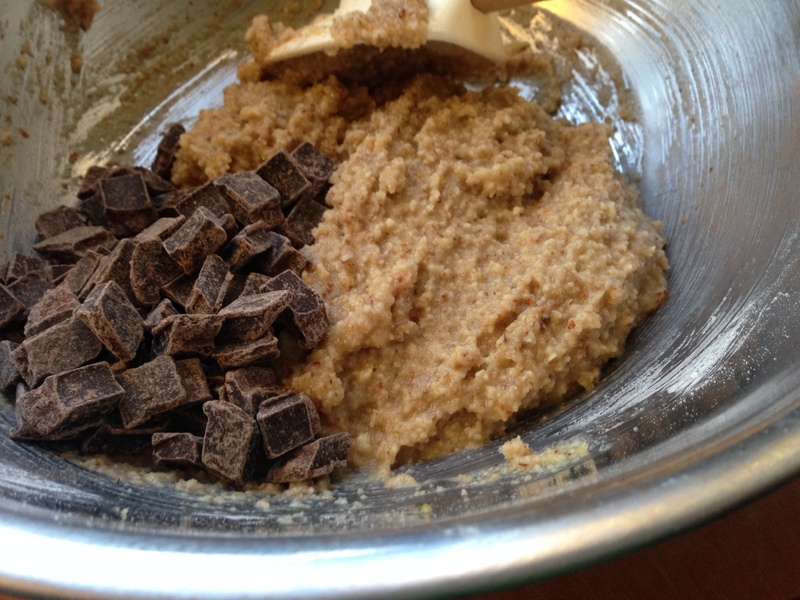 Mmm these look delicious and I love the chocolate chips in there.